We all know that famous saying, “An apple a day keeps the doctor away,” but have many of us considered why apples? Why not a banana a day or a kiwi a day? Your grandmother may have praised the benefits of apple pectin and told you to eat an apple when you were constipated. And it’s true, the fiber in the pectin is great at getting things moving again. 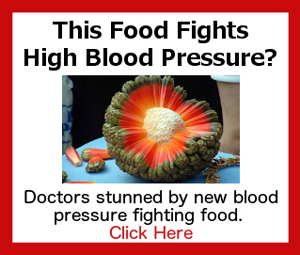 But did you grandmother know apples were actually a superfood? From lowering cholesterol to improving gut health and preventing cancer, apples pack numerous health benefits. Here are 7 reasons why you should start eating more apples TODAY. And, being fall, it’s a great time to stock up on many crisp varieties. Many people spend a majority of their time trying to lower their bad cholesterol (LDL) and increase their good cholesterol (HDL). It turns out, apples can do the trick! A Florida State University study found that older women – who are typically at risk of dangerous rising cholesterol levels – who consumed apples every day showed 23% lower levels of bad (LDL) cholesterol and an increase of 4% of good (HDL) cholesterol within six months. You know that eating more fruits and vegetables, along with exercising and eliminating stress are highly-effective ways of reducing your risk of developing cancer. In fact, according to a Nurses’ Health Study and the Health Professionals’ Follow-up Study, eating fruits and vegetables caused a 21% reduction of the risk of lung cancer in women. Apples, in particular, were specifically associated with this decreased risk of lung cancer. A Finnish study also involving 10,000 men and women also found a strong link between an increased intake of flavonoids from eating apples and a lower growth of lung cancer. And finally, Rui Hai Liu, a researcher at Cornell University also found that eating more apples resulted in increased amounts of phenolic compounds which help prevent and combat the development of cancer. Yet more reasons to start eating more apples today. UK researchers from the University of Oxford conducted a study and were a bit startled by the results. According to their findings, eating just one apple a day was found to be as effective as taking statins in people over the age of 50 for avoiding vascular death. Not only are apples a more natural way to keep your heart healthy, they are also a much cheaper way! And speaking of apples benefiting vascular health, one study followed more than 9,000 individuals over a 28-year period and found that the people who ate the most apples had the lowest incidences of stroke. Chew on that! According to the Centers for Disease Control and Prevention (CDC), over 29 million people in the United States have diabetes. That’s roughly 1 out of every 11 people. That’s the bad news. The good news is, along with eating a healthy diet and exercising, apples may reduce the risk of developing the disease. One large study of nearly 190,000 people found that those who consumed three servings of fruit per week, including apples, showed a 7% lowered risk for type 2 diabetes. 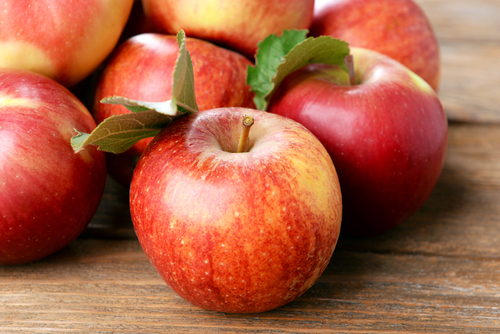 Quercetin is a powerful antioxidant found in abundance in apples. A 2006 study published in the journal Experimental Biology and Medicine found that this antioxidant reduces cellular death caused by oxidation and inflammation of neurons. A 2008 Journal of Food Science study also found a link between apples and improved neurological health. The researchers found that daily consumption of apples was protective of brain neurons against oxidative stress and neurotoxicity. Another Alzheimer’s study found that apple juice increases production of acetylcholine, and essential brain neurotransmitter that improves memory. So, it would seem an apple (or two or three) keeps the senior moments away! We’ve spoken often on this blog about the importance of gut health. All disease starts in the gut. If your gut is unhealthy, you’re unhealthy. Period. But what you may not know is that when you have more bad bacteria and less of the good guys, this can also contribute to your inability to lose weight, no matter what you do. A 2014 study published in Food Chemistry journal took a look at various varieties of apples and their impact on good gut bacteria in obese mice. The results? Granny Smith apples were found to be the most beneficial on good gut bacteria, the ones that show promise for preventing obesity. Of course, truly healing your gut and ensuring microflora is optimized will take more than just eating apples. If you’d like to know how to heal your gut so you can heal yourself from the inside out, you’ll want to read this guide, written by a doctor who healed his arthritis by healing his gut. While one of the studies I mentioned named a benefit of apple juice, I would personally caution you against drinking glasses and glasses of it. As soon as you squeeze the juice out of a fruit, you get all of the sugar and none of the fiber – and that’s not very healthy for you at all. And finally, just as apple juice is not as good as eating an actual apple, please do not fool yourself into thinking apple pie and apple fritters will offer you any health benefits – they won’t. If you really want to take advantage of these 7 health benefits of apples, just eat more apples. I find this interesting & you may to! !